What is Pit River Country? square miles. 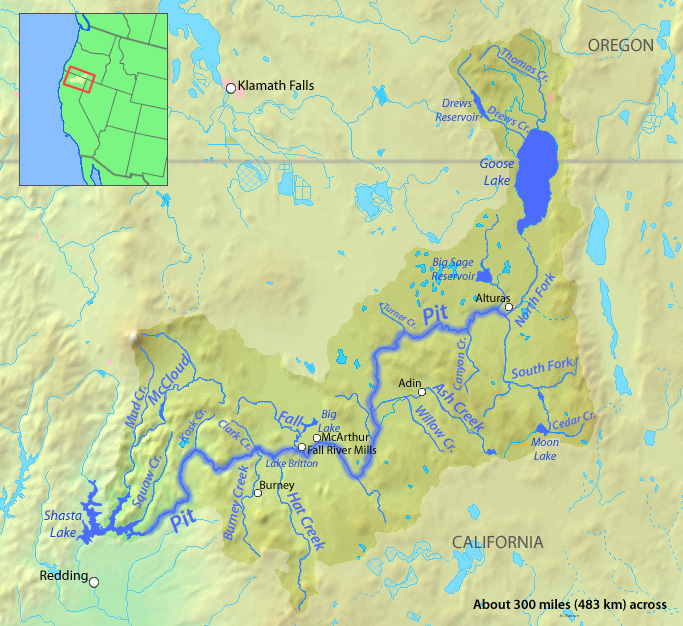 On the maps of the earliest fur traders it was known as the Upper Sacramento. When it passes Fall River Valley, it is fed by the springs of Ajumawi State Park and the Fall River. 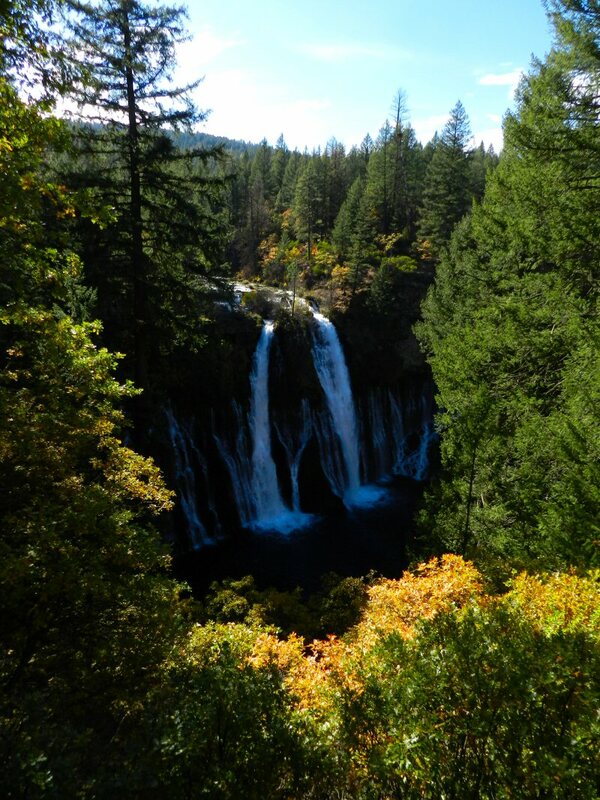 Then, at Lake Britton, it is fed by Hat Creek, which flows from MT Lassen down through Hat Creek Valley; and Burney Creek, which flows through Burney and Black Ranch and then over the falls in McArthur-Burney Falls State Park. After that, it flows down to Big Bend, where there are wonderful hot springs. I call the land and the communities in this watershed Pit River Country. It corresponds to the traditional lands of the Pit River Tribe. Some of the towns in this region are Burney, Fall River Mills, McArthur, Old Station, Montgomery Creek, Round Mountain, and Big Bend. 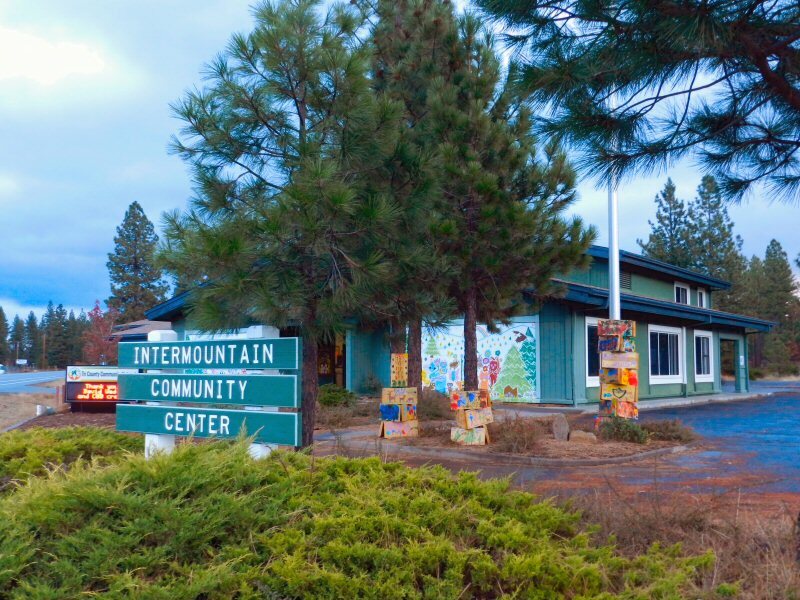 Mountain Community Center to host Holiday Open House Dec. 5. 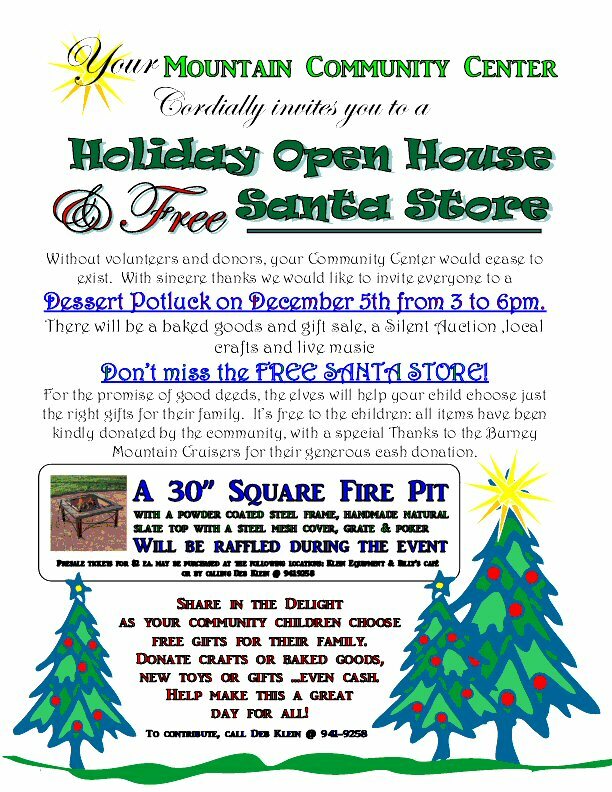 The Mountain Community Center in Round Mountain will host a Holiday Open House on Saturday, December 5th from 3 – 6 p.m. 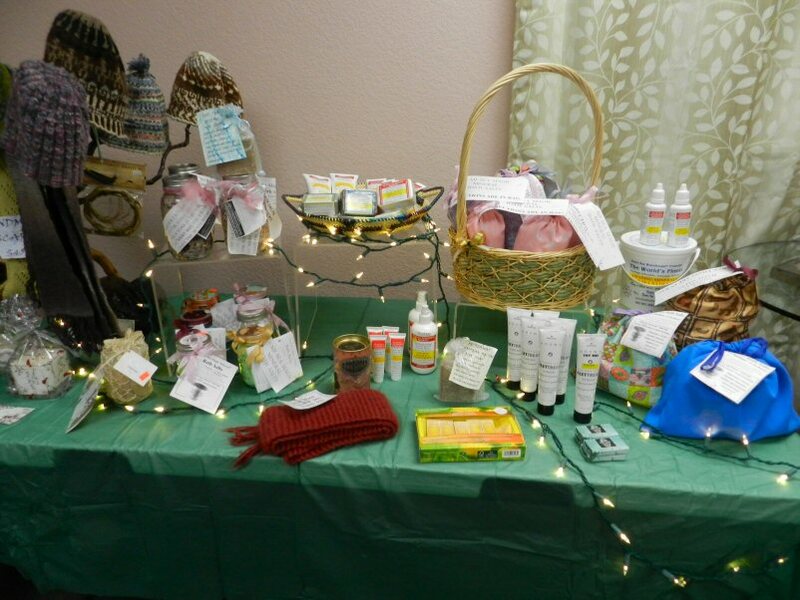 It will include a dessert potluck, silent auction, and craft & bake sale. There will be a free Santa Store for children. Elves will help each child choose gifts for their family. 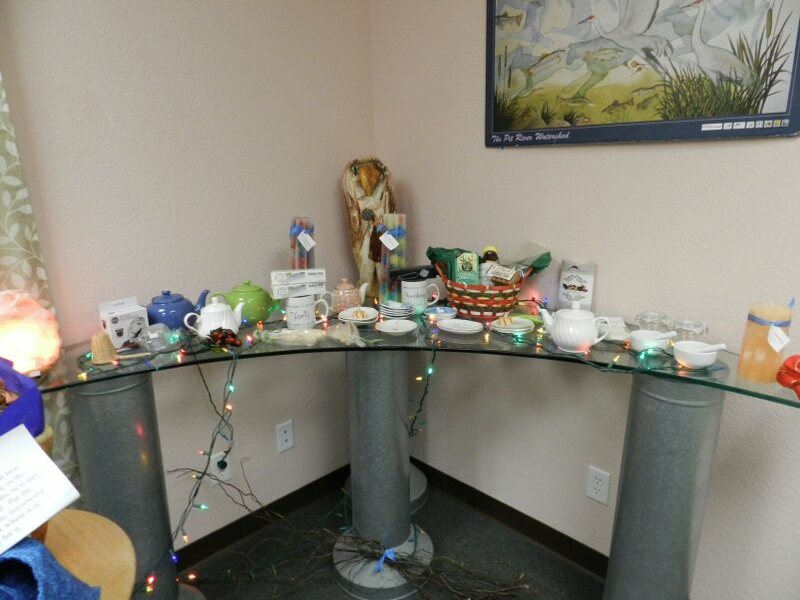 Gift items have been donated by the community. The Mountain Community Center especially thanks the Burney Mountain Cruisers for their generous donation. The Mountain Messengers will play Christmas music. A 30″ square fire pit with a powder coated frame, hand-made natural slate top with a steel mesh cover, grate, and poker will be raffled off at the event. Pre-event raffle tickets may be purchased for $2 each at Klein Equipment or Billy’s Café or by calling Deb Klein 941-9258. If you would like to contribute baked good, crafts, gifts, toys, or money please contact Deb Klein. 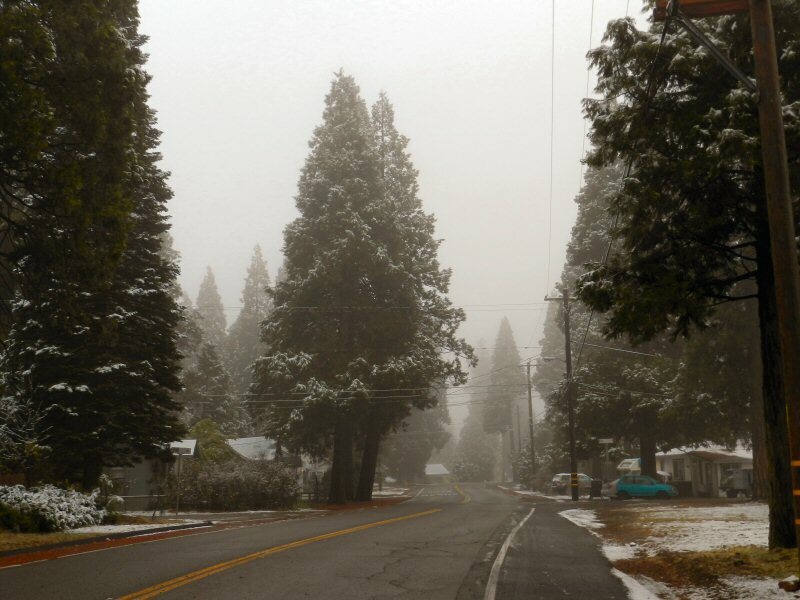 The event will conclude with the Christmas Tree lighting ceremony at 6 p.m.
On the afternoon of November 9, shortly after 2 p.m., the first snow of the 2015-16 winter began to fall in Burney. By 3 p.m. the snow was falling heavily and sticking to the ground. It looked like it might be a pretty hefty snowfall. By 4 p.m. though, the snow had begun to taper off. The snow was wet, almost like a sleet. The next morning at 7 a.m. I headed out the door to see what it was like. Roads were good. Sidewalks were icy. The air was dense with fog. Not much snow had fallen. There was less than an inch on the ground. According to my smart phone the temperature was 31 degrees. 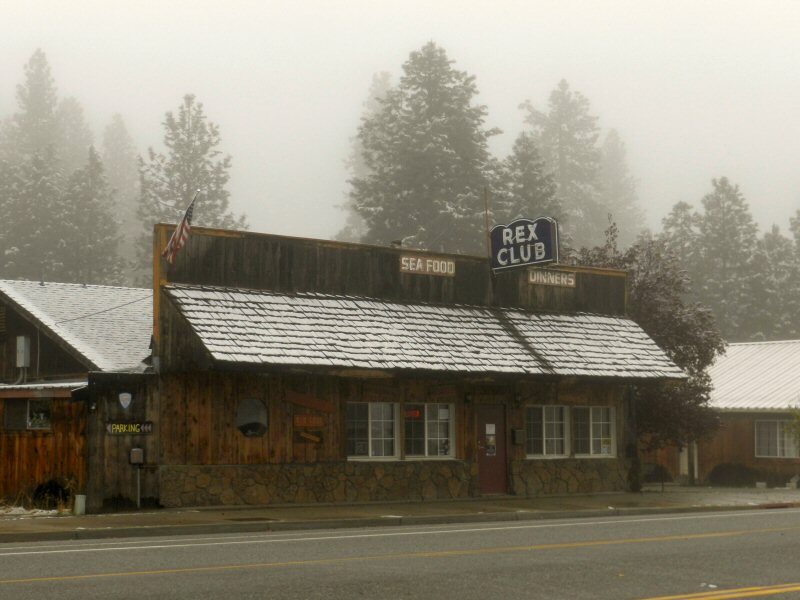 I drove down Main Street and stopped in at the Burney Coffee Company next to the Rex Club to ask Sharon if anyone had told her how the roads were on Hwy 299 over Hatchet Mountain. 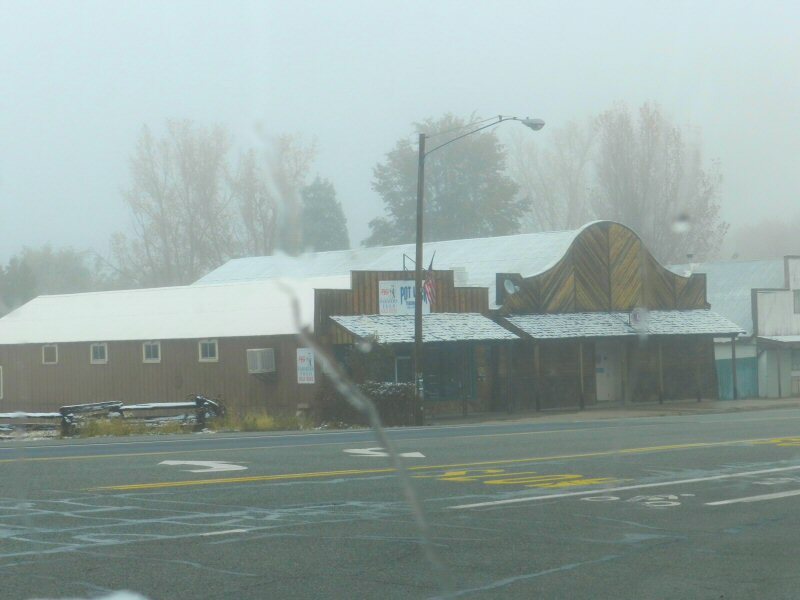 She said that she hadn’t heard, but that people driving from Alturas had told her that there was a lot of fog and the roads were icy. Extreme caution advised driving over the mountains in both directions. 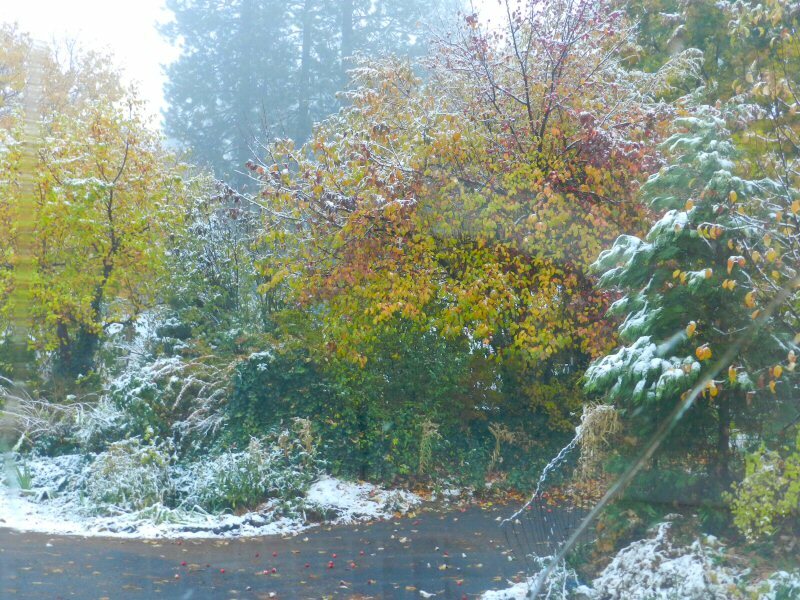 After several winters with very little snow, it was refreshing to see an early November snow. 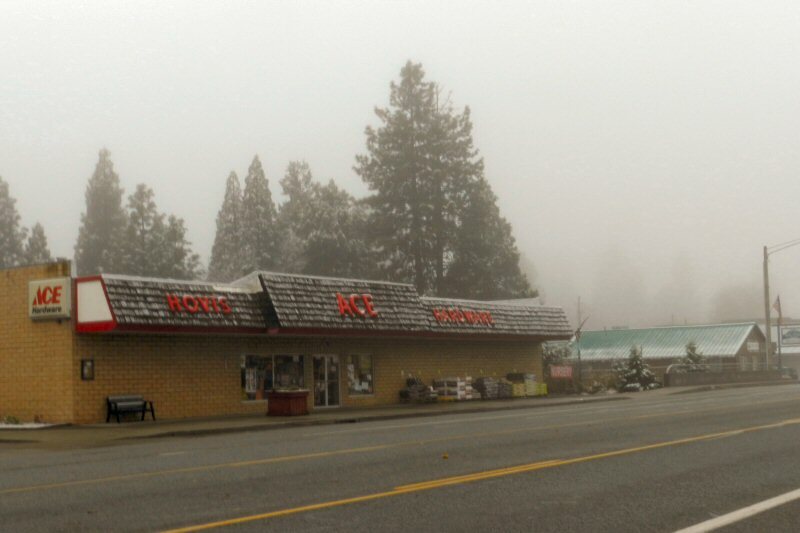 Folks in Burney are still uncertain what the winter holds and hope for a wet winter. With an El Nino this year, the weather service is predicting a wet winter, although temperatures are not supposed to be exceedingly cold. That means a lot of rain and possible flooding in the lower elevations and hopefully a lot of snow in the alpine regions. So far the storms that have come through have dropped most of their precipitation to the south of the Burney area. Though this snow fall was light, driving around town was beautiful. Many of the autumn leaves have not yet fallen, so the contrast of gold, green, and white was delightful. As the day progressed, the fog lifted, the sun burst forth, and the snow melted. 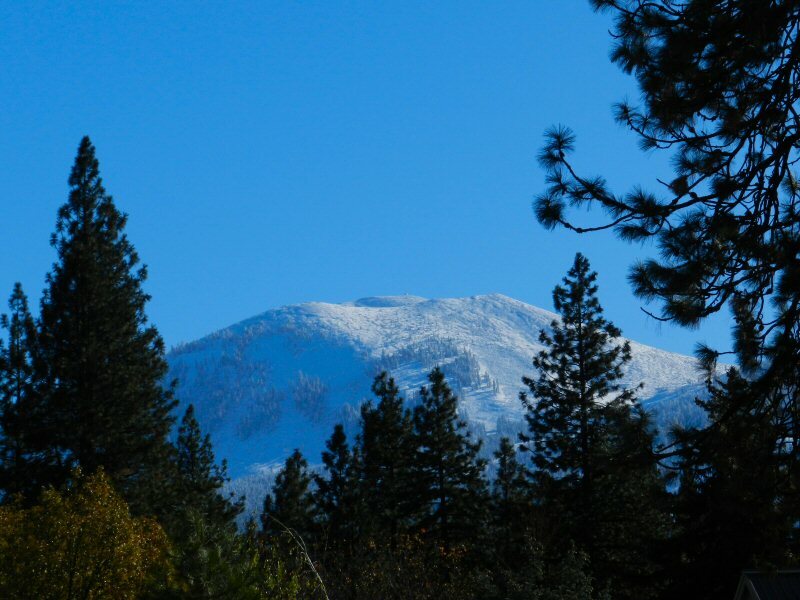 But Burney residents were treated to a lovely view of a snow-capped Mt Burney. 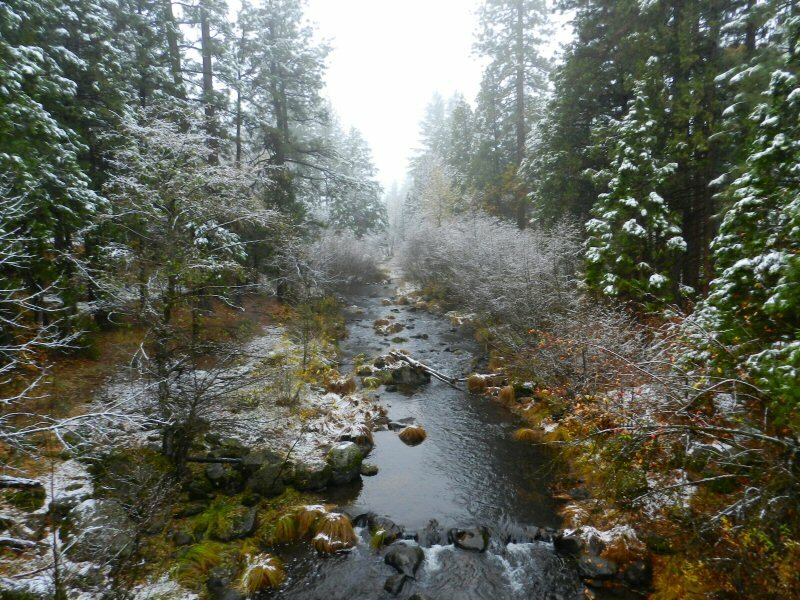 Who knows what the winter will hold, but let us hope for a nice white Christmas and a good snowpack that will help replenish our forests, streams, and reservoirs. 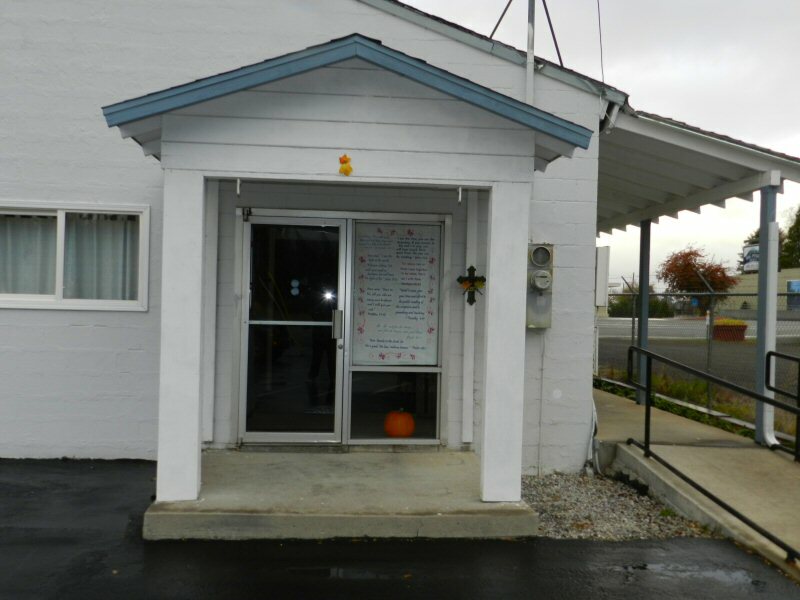 On Sunday morning, November 8, my wife Linda and I went over to the Vet’s Hall for breakfast and for $5 were treated to a delicious pancake, sausage, egg, and fruit breakfast. The breakfast was served by three very friendly vets. We arrived at about 9 a.m. We were the only ones there. One of the gentlemen told us that the breakfast takes place once a month and they usually get a good showing between 10 and 10:30. We figured that most of the people in town were in church or getting ready to go to church. After breakfast and a nice conversation, Linda and I decided to drive around town and see the churches. 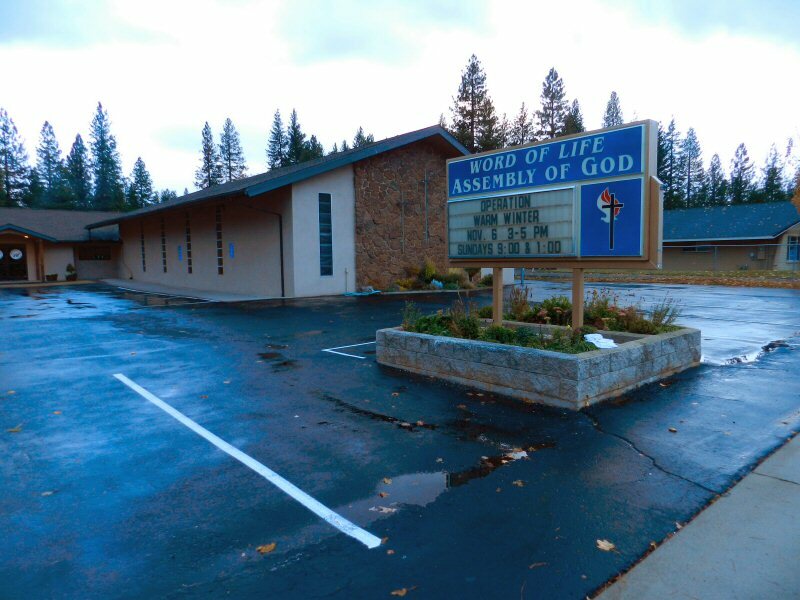 We headed back up Main Street and the first church we saw was the Word of Life Assembly of God at 37341 Main Street. The main Pastor is Ken Frazier. Their parking lot was full. 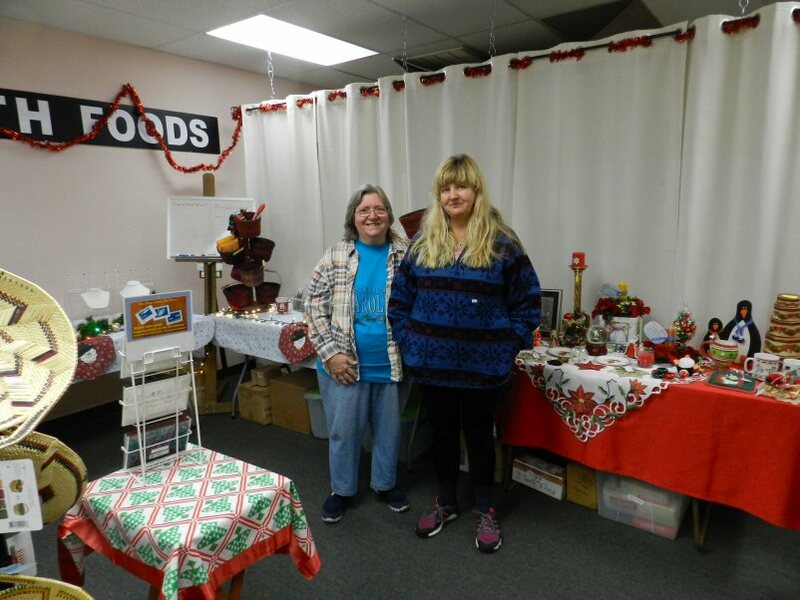 They have services at 9 a.m. and 11 a.m. I’ve never attended the services but Linda has set up for their annual craft show in the past. Also, the daughter of one of the pastors was my certified health care advisor at the Burney Health Clinic. 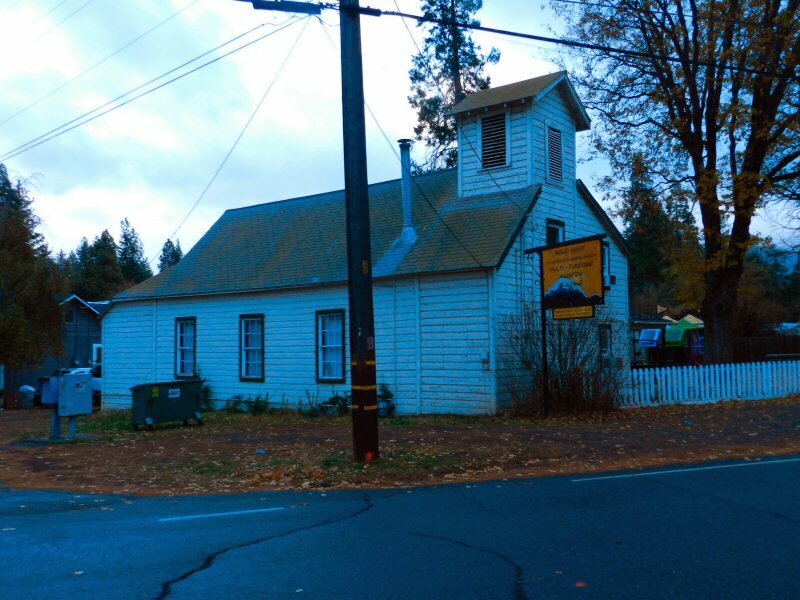 Next we drove by the old Burney Presbyterian Church, which is now closed. There was some disagreement with the national Presbyterian Church. 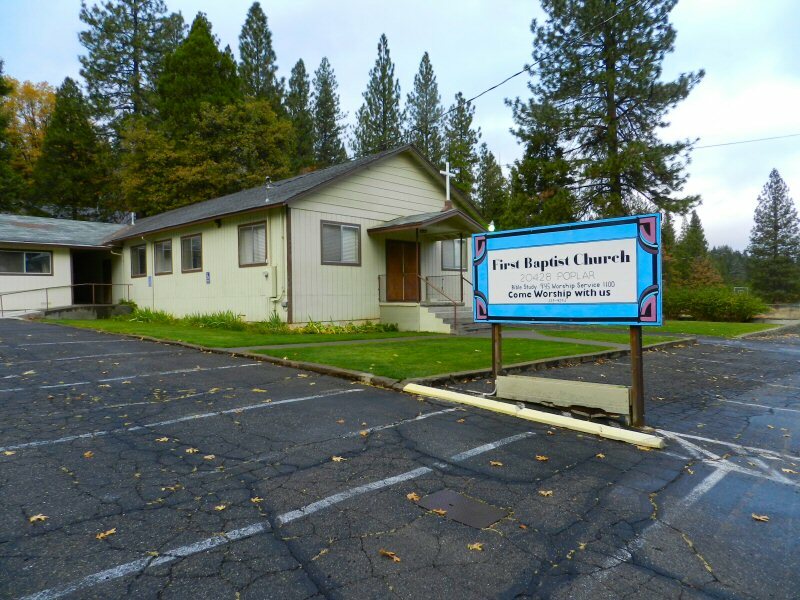 I’m not informed enough to explain, but the church property is under the control of the Presbyterian Church and the congregation has now formed the New Hope Evangelical Presbyterian Church and meets at 37095 Main Street, Suite C, behind Burney Valley Real Estate. They have their services at 10:30 a.m. 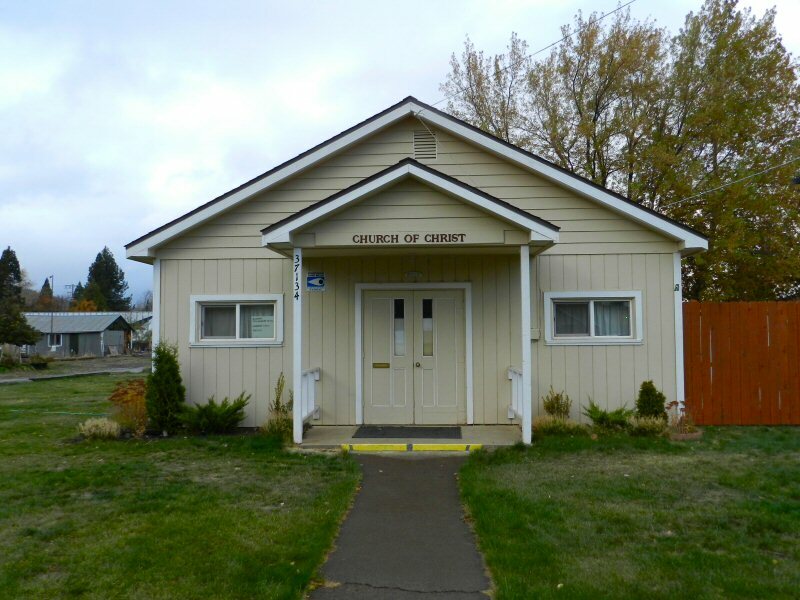 I do have some history with the Burney Presbyterian Church because it was built back when my grandfather Ray Berry was general manager of the Scott Lumber Company. 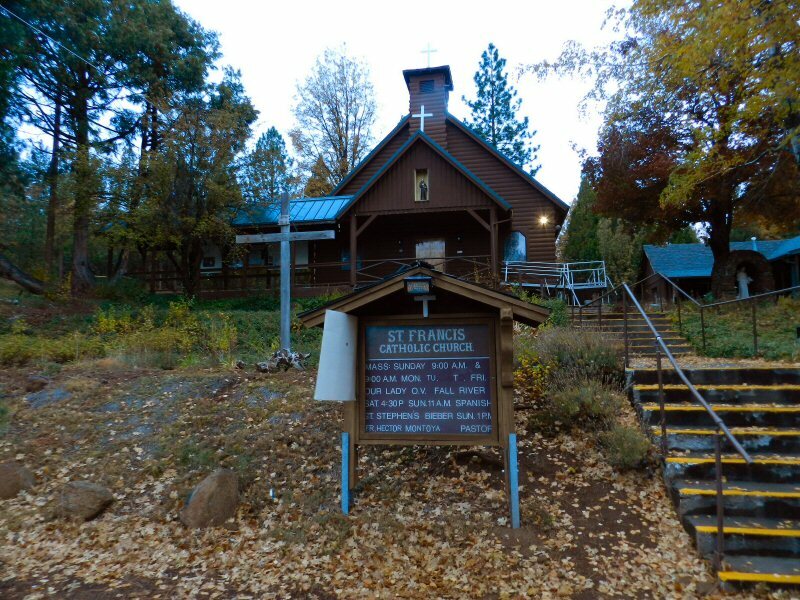 In the late 1950’s, when I used to spend summers on the Black Ranch, we used to attend services there. My grandfather donated a really nice pipe organ and used to play for the services. Later, when the church began to turn to more modern music rather than the old hymns (which I loved to sing), my mom, Alice Stone, donated money so they could buy a new music system. Also, my mom and my grandmother were regular contributors to the church, and my mom used to like to attend prayer meetings there. So, I’m wondering what is to become of the church property. Will there be a new minister or will they sell the property to someone else? Next, we drove through town and turned left on Tamarack. We went past the Solid Rock Four Square Church. There service is at 10:30 a.m. The pastor is Sheadon Crabtree. Linda and I did attend Easter Service there last year and it was very pleasant. I find attending any denominations services to be worthwhile because the readings deepen my familiarity with the Bible and the sermons give me new perspectives and things to think and pray about. Linda and I often have lengthy conversations after listening to a sermon. I also am grateful for the opportunity to pray together with other people and share fellowship. Jesus said that when two or more are gathered together in his name, he will be there, so I often feel the Holy Spirit when attending a church. One of the things that I enjoyed attending the Solid Rock church was being introduced to Aimee Semple McPherson, a very fascinating and influential woman with quite a testimony. 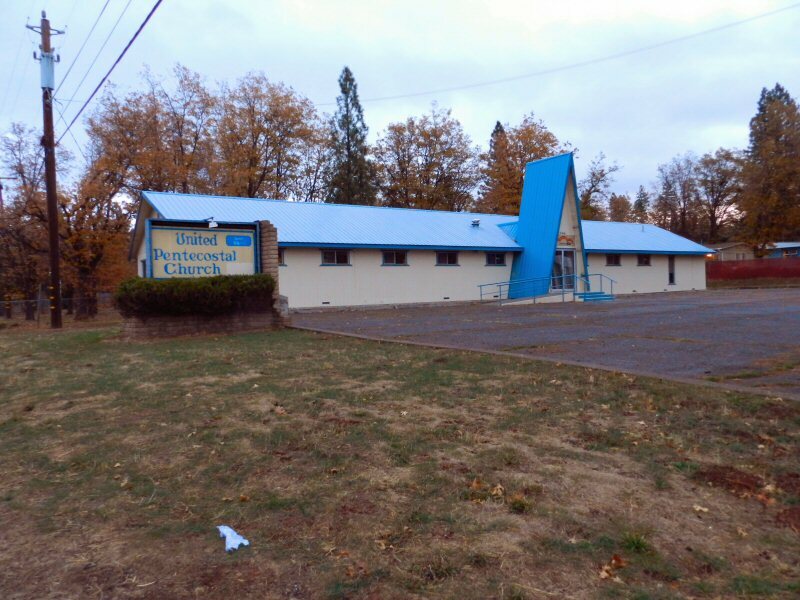 Then we drove past the casino to the Grace Community Bible Church, an Independent Fundamental Bible Church. Their Pastor is Henry Winkelman. There were a few cars there for the Sunday School. Sunday morning service begins at 11 a.m.
Then Linda and I drove back up to the highway and across to Timber Lane. There are three churches over in this area: The Faith Lutheran Church, The First Baptist Church, and the St Francis Catholic Church. One of the summers when I stayed at the ranch, Grandpa Ray hired a student from Shasta College to take care of me, my brother and my cousins. We lived in the little white house down Burney Creek by the chicken coup. The student’s name was Bruno. He came from Germany and he was Catholic, so for that summer we attended St. Francis Catholic Church every Sunday. I hadn’t been there for years, but when my friend Gerald died a few years ago I attended his funeral service there and met the priest, Father Hector Montoya. The parking lot at St. Francis was packed. When we drove into the parking lot of the First Baptist Church we were greeted by a very friendly Pastor Troy. Sunday school had started at 9:45 but services would begin at 11. I told him that Linda and I had had breakfast at the Vets Hall and were taking a tour of the churches. He welcomed us and invited us to attend. I asked what he was going to preach on. “Do you believe in the gifts?” he asked. He told me that I should come because the Holy Spirit had inspired him yesterday that someone who had prayed for something for a long time would receive it today. “That could be me!” I said. He told us that we would be welcome to attend anytime. Well, that was seven churches that we had seen so far in Burney. One that we missed was the Burney Church of Christ on Superior Avenue behind the old Post Office. 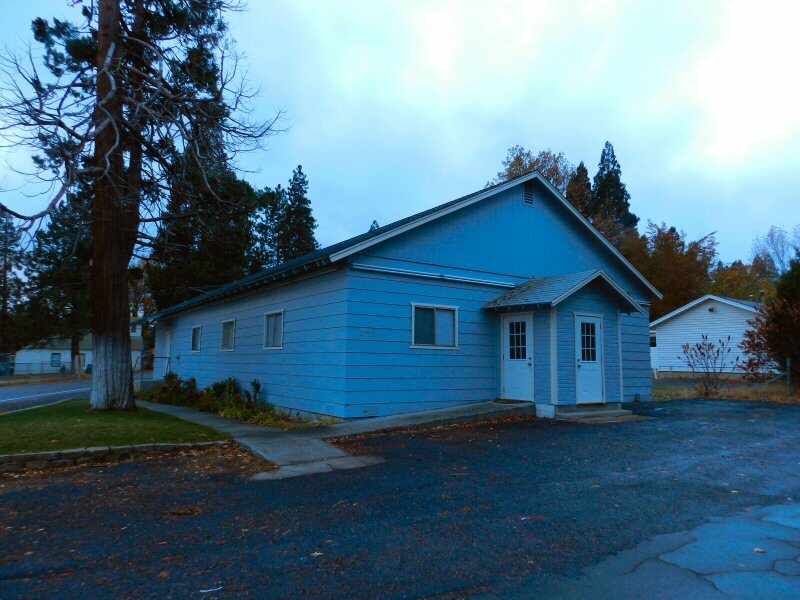 There is also the Intermountain Baptist Church with Pastor Bud Hennessey on Marquette. They have a Sunday Bible study at 10 a.m. and service at 11 a.m. and 6p.m. This church is not far from our house and Linda has enjoyed services there several times. The property this church is on used to belong to my grandmother. She was so happy that the property would be used as a church to benefit the community. I often walk through the trees on the trail in front of the church as I go to the cemetery to pray at my grandmother’s gravesite. It is really lovely, like a park. America has such a rich religious history. I recommend reading A Religious History of the American People by Sydney E. Ahlstrom just to get an overview. The Spirit has moved in many ways through our history giving birth to reformations, revivals, and movements that have been integral to our history. The diversity of religious opinion, doctrine and practice has not only been evident in divisions amongst denominations but within denominations. Baptists are a good example of this. When I was a seminary student at Unification Theological Seminary in Barrytown, New York, I attended an American Baptist Church in Albany on Sunday for two year’s. Later, in Maryland I had a friend who was a pastor of a small independent conservative Baptist congregation. He brought me along to a conference of various fundamentalist Baptist ministers. While they shared certain basic beliefs, the diversity of theological and doctrinal disputes amongst them befuddled me. Yet the disputes raged in a cheerful and respectful atmosphere of brotherhood. While all the pastors differed on various points, they all respected each other’s commitments to Christ and to serving their flocks. 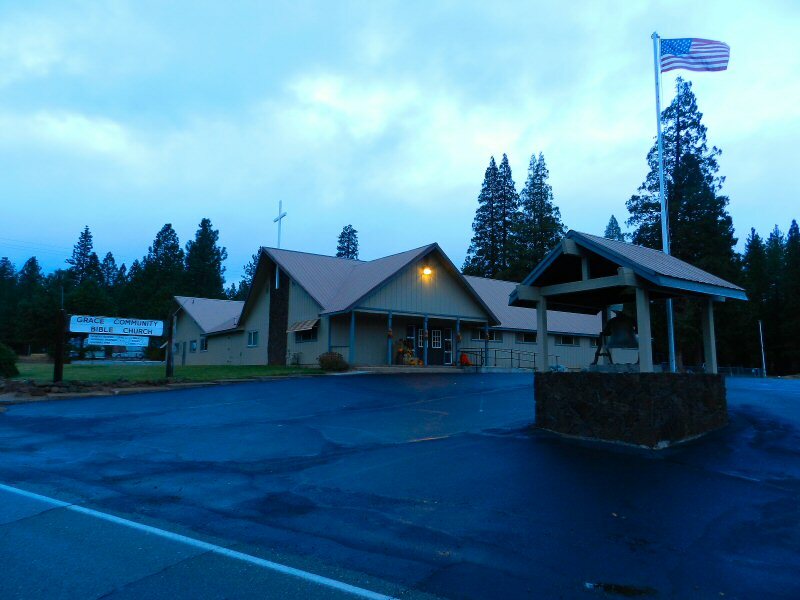 Back to this Sunday in Burney, Linda and I got back on the highway and drove past the Community Center where another congregation meets each week under the teaching ministry of Pat Nugent. Linda and I have attended services there several times. Pat generally reads a portion of the Bible and provides an exegesis. Then we went on to Johnson Park where we drove past the Pentecostal Church (cars just beginning to arrive). Further down we came upon the Jehovah’s Witnesses Kingdom Hall, where the parking lot was full. Linda and I enjoy the friendship of a number of Witnesses. 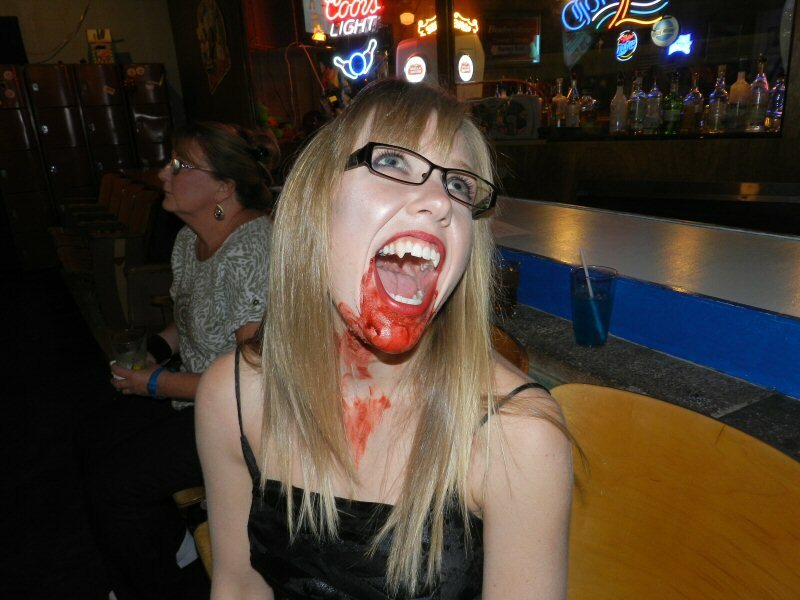 Linda has attended many services. This past Spring I attended a commemorative service during Easter week. 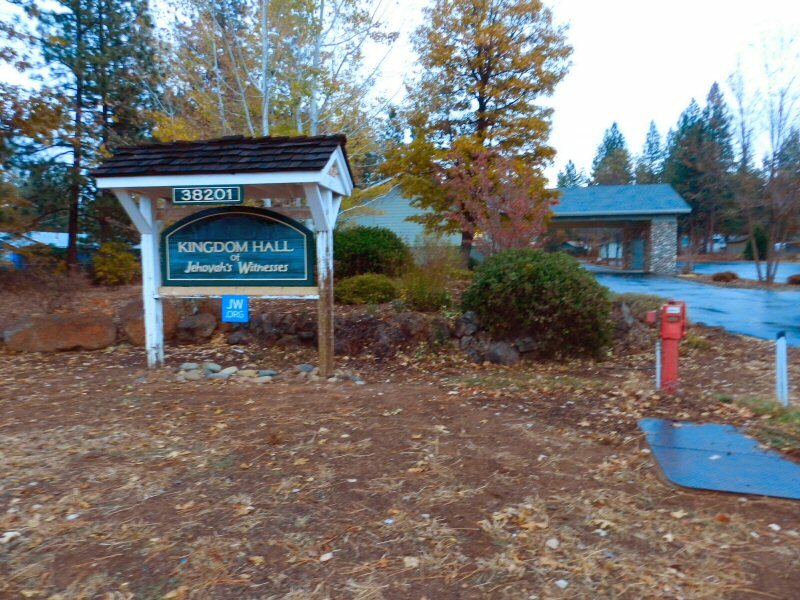 Also Linda had an opportunity to act as a caretaker for one elderly woman before she passed away and we attended her memorial service at the Kingdom Hall. I admire all people of faith. I also respect and give thanks for all of those members of the clergy who seek to provide spiritual food and guidance to the various faith communities. 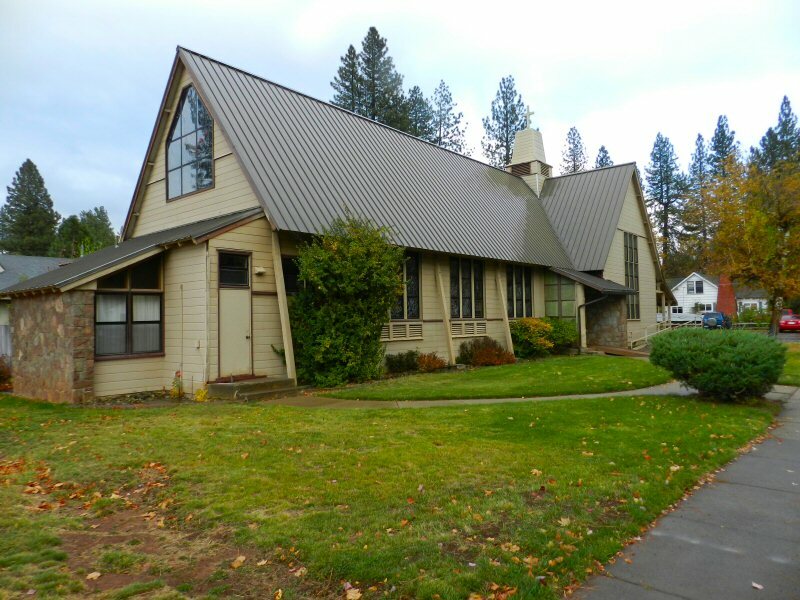 In Burney we are fortunate to have a variety of churches and it is good to know that each week congregations are meeting to worship, study, pray, and share fellowship because this nourishes the spiritual life of our community and bears fruit as it inspires people to strive for betterment and to serve the community in various ways. May God bless them all. Personally, I have not been a regular church-goer for some time. 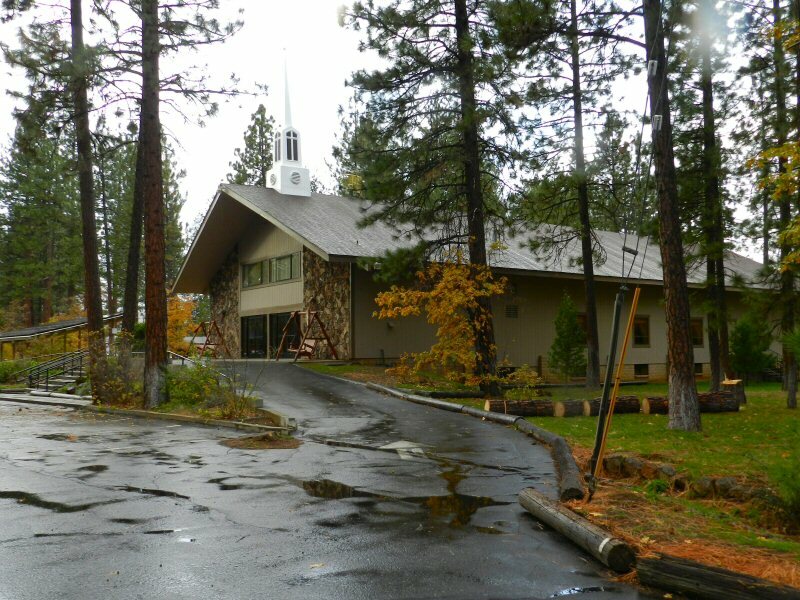 After today’s tour of the churches of Burney, I think that Linda and I will begin to visit the various churches to hear the sermons and share in the fellowship. I also want to mention my gratitude to the Mormon missionaries who visit our homes. I have enjoyed the company of several and one, Elder Stein, moved me to read the Book of Mormon. I also attended one service in Fall River which was quite inspiring and definitely spirit-filled. When my mother was dying of cancer and I was her primary caretaker in Hospice, a minister from the Seventh Day Adventist Church came each week to visit. My mom was always delighted as we sang songs together. 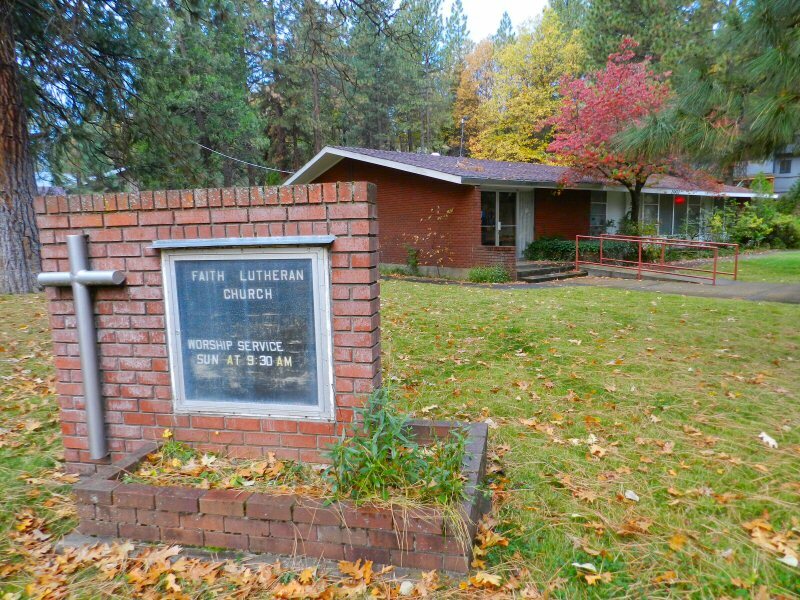 Another friend of mine attends the Seventh Day Adventist Church in Round Mountain. I love to pray with people of all denominations. I love to share inspiration and ideas with people of all faiths. Prayer knows no denominational barriers. The spirit blows where it will. It is not bound by human opinion. I am also grateful that we have several Hindus in our community. I have shared very beneficial conversations on the Bhagavad Gita and the Ramayana. I have a group of friends with whom I meet on Friday nights. We discuss personal, social, and spiritual ideas and issues and then sing “Hu.” In Redding and Mt Shasta, I have friends with whom I discuss yoga, mystical philosophy and sometimes chant “Om.” I am also grateful to have been able to discuss Grandfather Spirit and to have shared song and dance with some of our Achomawi brothers and sisters. I read the Bible, the Quran, the I Ching, the Tao te Ching, the Upanishads, the Dhammapada, and the Bhagavad Gita and other sacred texts. I don’t necessarily believe everything that I read, but I find wisdom in all these texts. I find that they all point to the Way, and I respect all people of the Way. I pray that the most high God can help me to understand the truth as much as a I am capable of understanding. But above all I seek to love God with all my heart, all my soul, and all my mind. It is difficult to ascend Jacob’s ladder. I have many failings, but I thank God for his mercy and his blessings. I also thank and pray for all of the people of faith in Pit River Country who are seeking to discover the Kingdom of Heaven within. In this time when there is so much division and animosity between people of different religions, races, and ethnic backgrounds, I pray that men and women of love and faith can facilitate reconciliation. 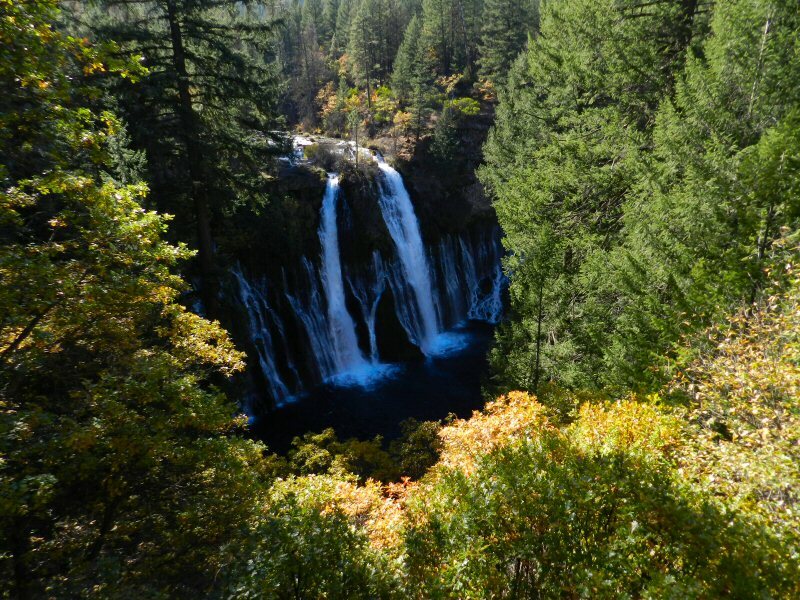 Personally, I think that the Falls Loop trail at McArthur-Burney Falls State Park is one of the most enjoyable hiking trails that there is. It’s not a hard hike but it is good exercise. The trail is about 1.3 miles long. It is beautiful in all seasons. 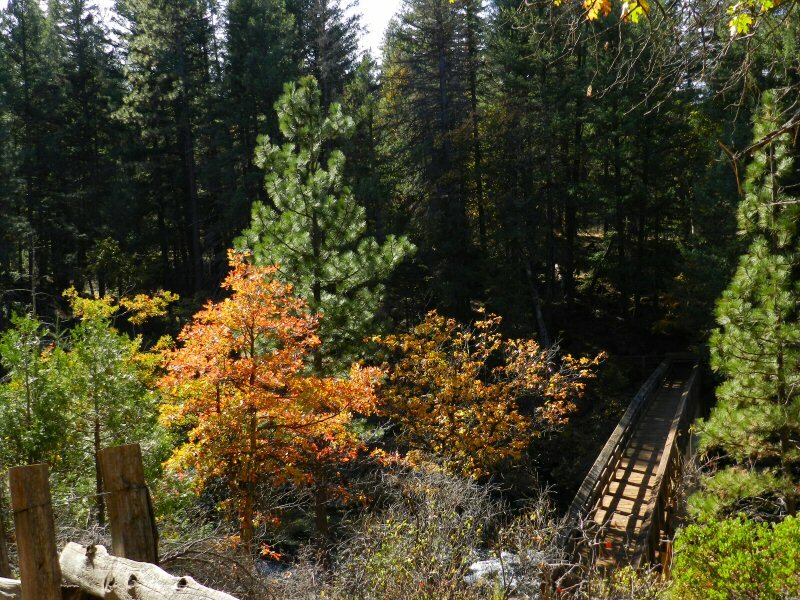 On October 31, I decided to hike the trail to catch a glimpse of some of the fall foliage. I used the free public parking area on Clark’s Creek Road to enter. Some people feel that entering the park without paying the $8 entry fee at the main entrance to the park on Hwy 299 is a bad thing. However, technically, admission to the park has been free since the land was sold to the State of California for one dollar by the McArthur family in the 1920’s. The McArthur family basically gave the park to the State of California to protect the falls and the surrounding area from the hydroelectric development that was being planned for the Pit River. One stipulation was that the park remain free and open to the public in perpetuity. When people drive into the park and stop at the gate to pay fees, they are paying parking and camping fees. The fees go to pay for upkeep and maintenance of the park, so that is a good thing and a lot of people are happy to pay to help contribute. If people hike into the park, however, there is no entry fee. 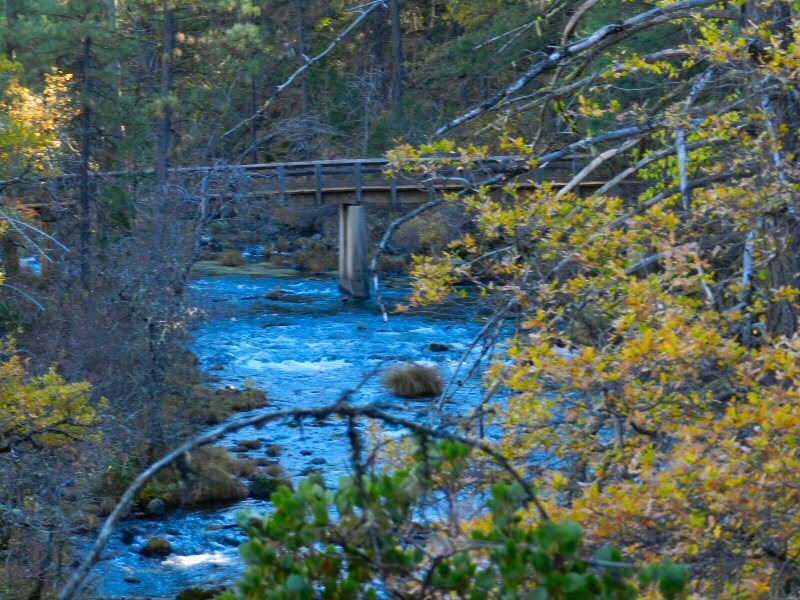 I entered the Park, crossed the Pacific Crest Trail that also runs through the park, and headed down to the bridge that crosses Burney Creek above the falls. After crossing the bridge I took a few photos of the fall foliage and headed across the falls overlook to the main parking area. The visitor’s center was closed for the season. They closed after the park’s Heritage Day celebration. I saw a park ranger and went over to talk with him. His name was Ranger Dan. He was a very likeable fellow who gave me a map and explained how to get to the Pioneer Cemetery Trail which leads to the Pioneer Cemetery and Cemetery Cove on Lake Britton. I’ve been wanting to see the marker at the cemeteries that commemorate a number of the early settlers who lived along the Pit River near the falls in bygone days. Before the white people came to the area in the mid-1800’s, this was the territory of the Ilmawi, a branch of the Achomawi people. In the 1860’s John and Catherine McArthur bought a lot of land. They opened a store. Eventually, a small community named Peck’s Bridge developed along the Pit supported by local family farms. The Cemetery trail is three miles down and back. It was already past 2 p.m and the days are getting short so I decided to do it in the future and instead continue along the Loop Trail. From the beautiful vista point near the visitor’s center the trail descends in a hatchback manner down to the base of the falls. As one hikes down a well maintained path one is treated to a wonderful series of breathtaking views of the falls. One of the things that I love about hiking the loop is the wonderful people that I meet. As I hiked down I was amazed to see a group of hikers from Mt Shasta with young boy dressed in a Mickey Mouse costume. 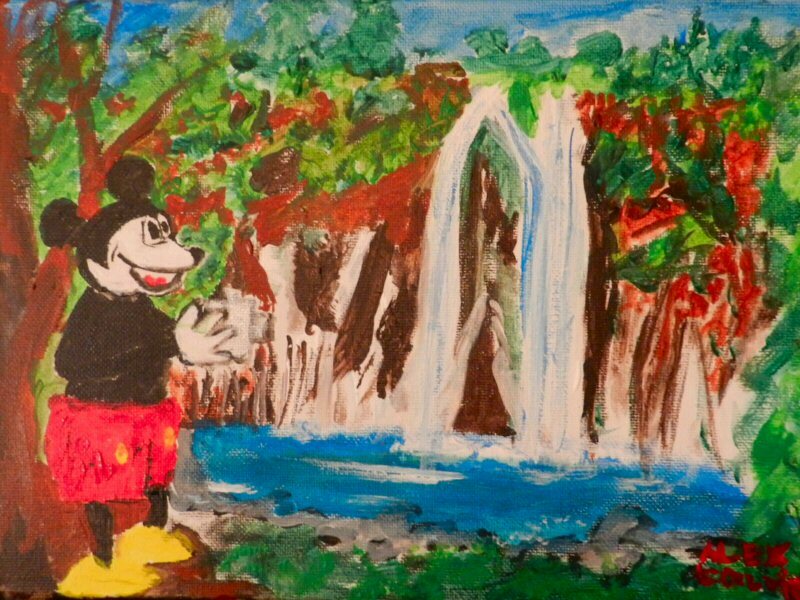 This was personal for me because I had recently painted a small picture of Mickey Mouse at Burney Falls for a friend. “It’s Mickey Mouse!” I exclaimed as I approached the hikers. I introduced myself to the young boy’s mother. Her name was Lilly Rivera. Her son’s (Mickey Mouse) name is Adrian Rivera Jr. Hiking with them were Brianna and Julien Reyes. They had moved to Mt. Shasta in January. 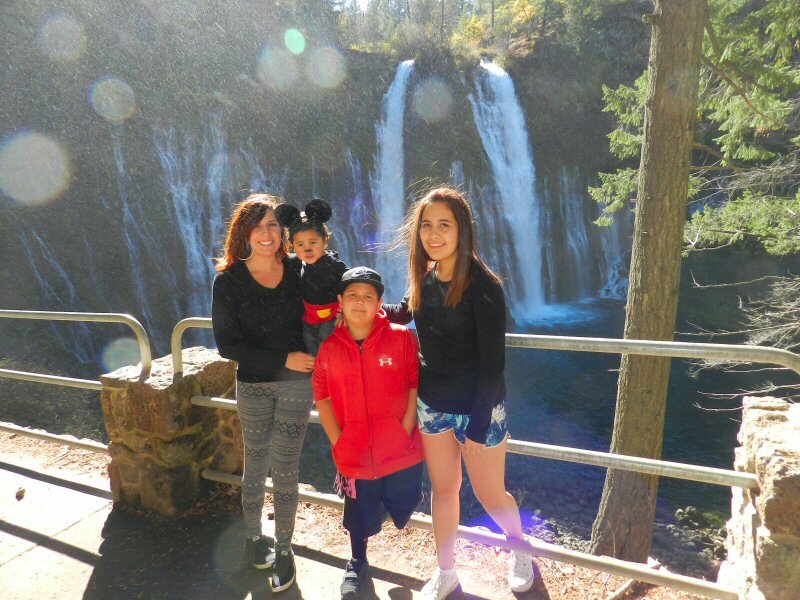 She said this was their first chance to come to Burney Falls and they loved it. I traveled down to the bottom of the falls. Here one can experience the full power of the falls as the torrent descends and the mist sprays up into one’s face. In the summer some hikers like to plunge into the pool for a very brief but exhilarating dip. The water which is flowing over the falls from subterranean sources is between 40 and 50 degrees. I did it once several years ago and got out almost as quickly as I could get in. The currents created by the falls are extremely powerful. Another experience that fills one with awe is to sit on the rocks by the water and just take it in. In the past, sometimes I would sit on a rock where the water from the pool flows into the creek to continue it’s journey to Lake Britton. There the water is as clear as glass and flowing at an incredibly powerful rate equal to the force of the water flowing over the fall. Staring into it, I would imagine what it would like to merge into such a flow. You couldn’t fight it. Well, imagination is one thing and physical reality is another. Every year the park reduces its personnel in the winter. I continued down the trail. Here in the heat of the late spring and summer one often sees brown squirrels, lizards, butterflies and dragonflies dancing about. But today was quiet and serene. 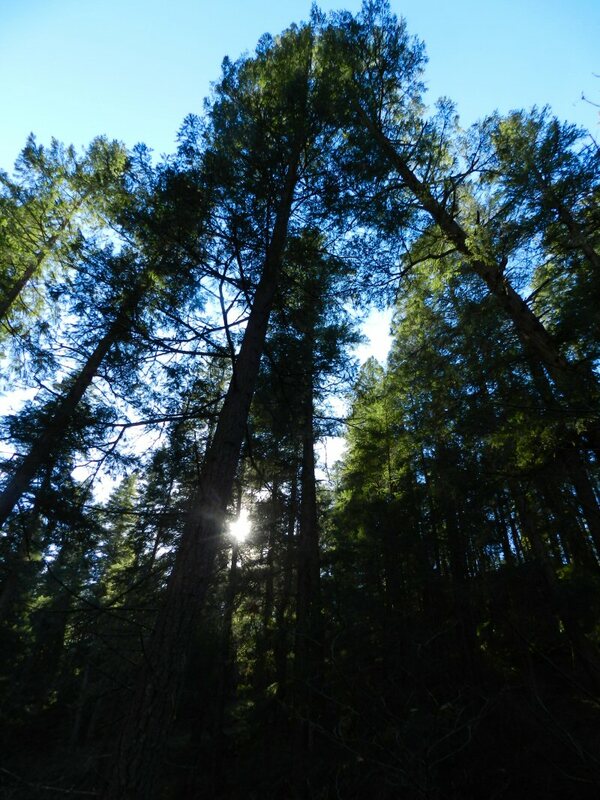 At this point I was able to enjoy the beauty of the Burney Creek and the serenity of the woods. Because this is a state park, it has not been logged as extensively as the surrounding area. 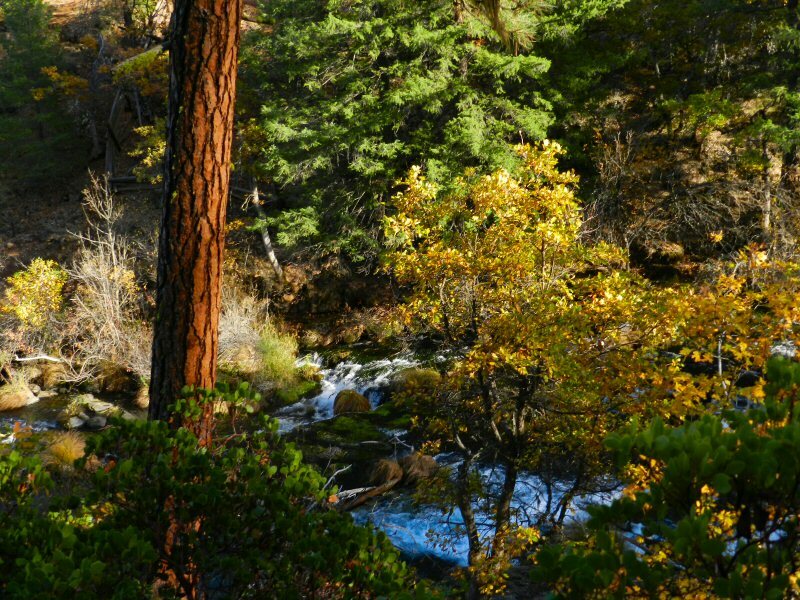 As I walked by the stream I could experience the grandeur of old growth Ponderosas and the Douglass Firs, many of which are five hundred years old. 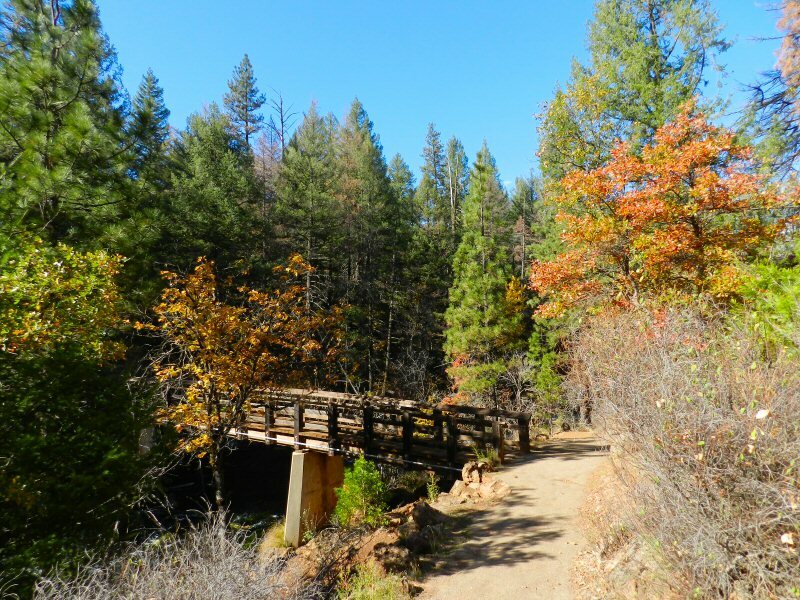 The trail follows the scenic creek down to an old arched bridge. 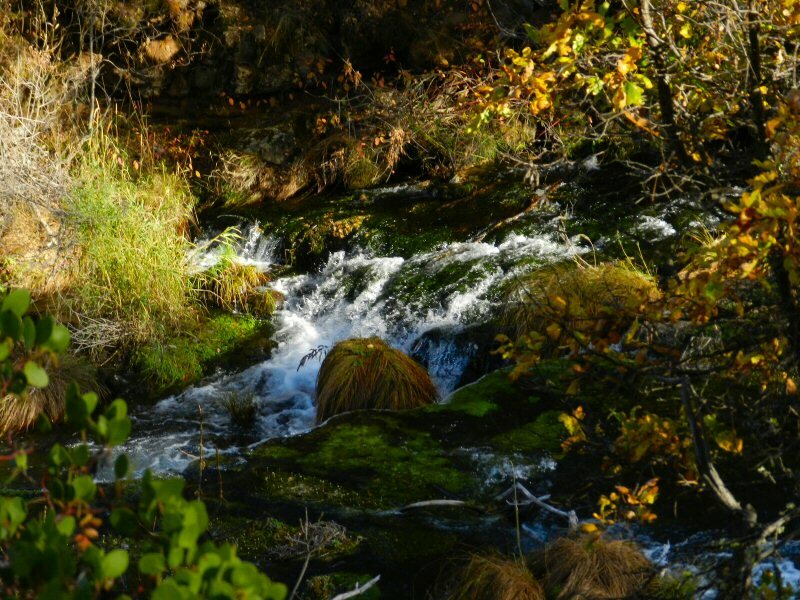 Here one can get beautiful views and pictures both up and down the creek. At this point one is also confronted with choices. Do I hike back the way I came? Do I continue down Burney Creek trail to Lake Britton? 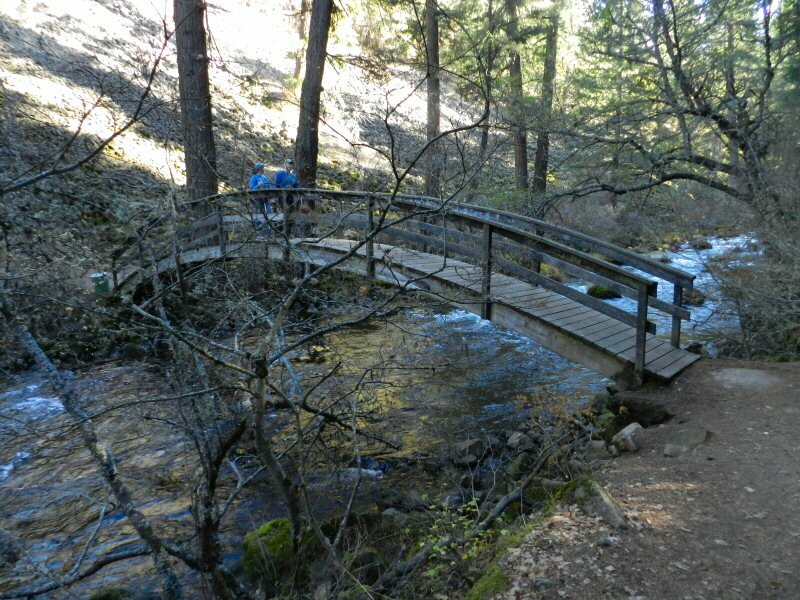 Do I cross the bridge and hike down the other side of the Creek on the Pacific Service Employees Association (PSEA) trail? Or do I continue on the loop and go back up to the Pacific Crest Trail from whence I came? 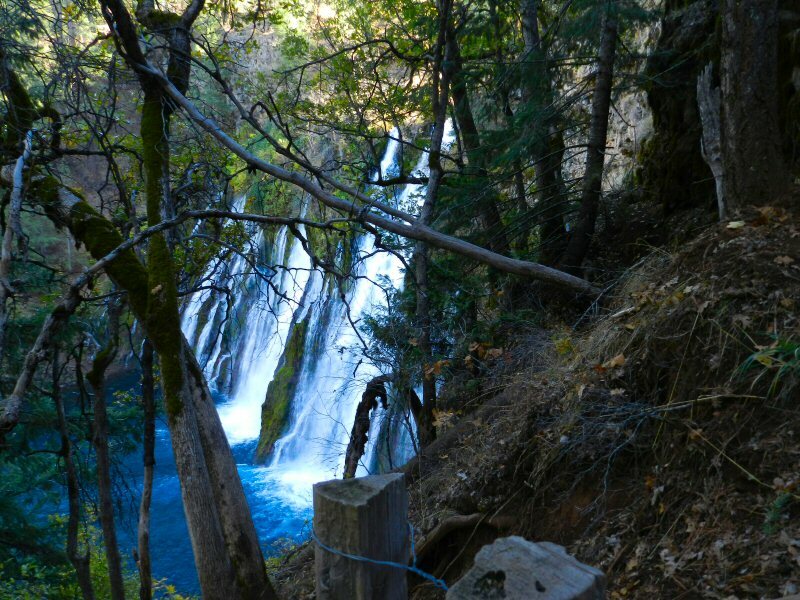 That’s one of the wonderful things about McArthur-Burney Falls Park. In addition to the falls, Lake Britton has boating, swimming and bass fishing. The creek is stocked with trout. 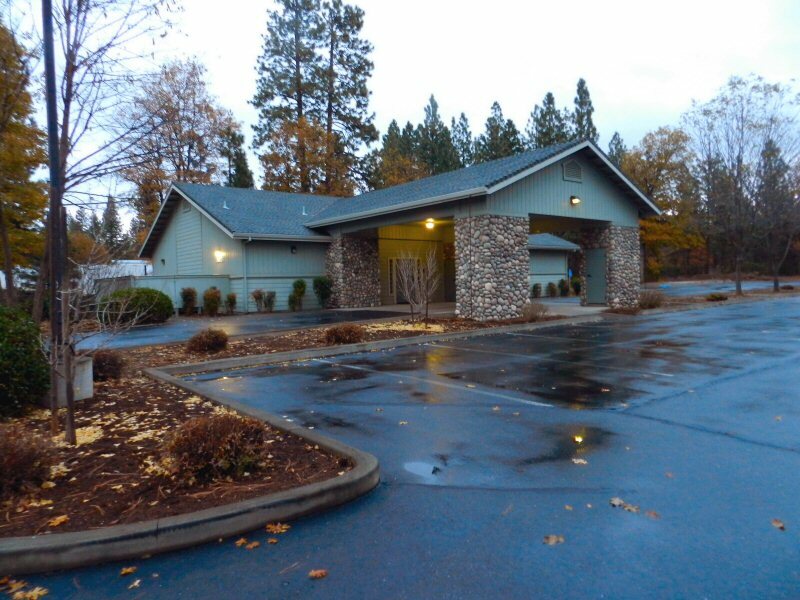 There are campgrounds, cabins, activities, and amenities. There are also great trails to hike. 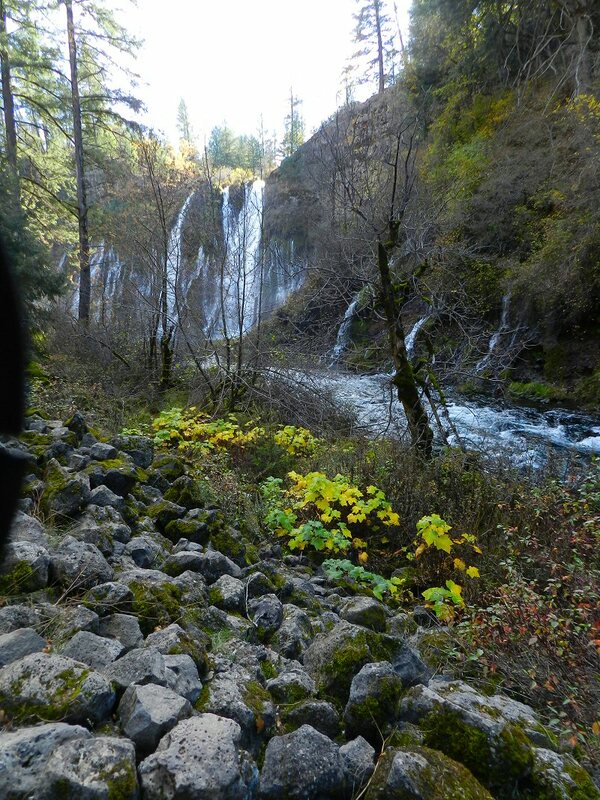 Beyond the trails that I have mentioned, there is also the upper loop trail that goes to the headwaters of Burney Falls passing the springs where hundreds of millions of gallons of water emerge into Burney Creek. 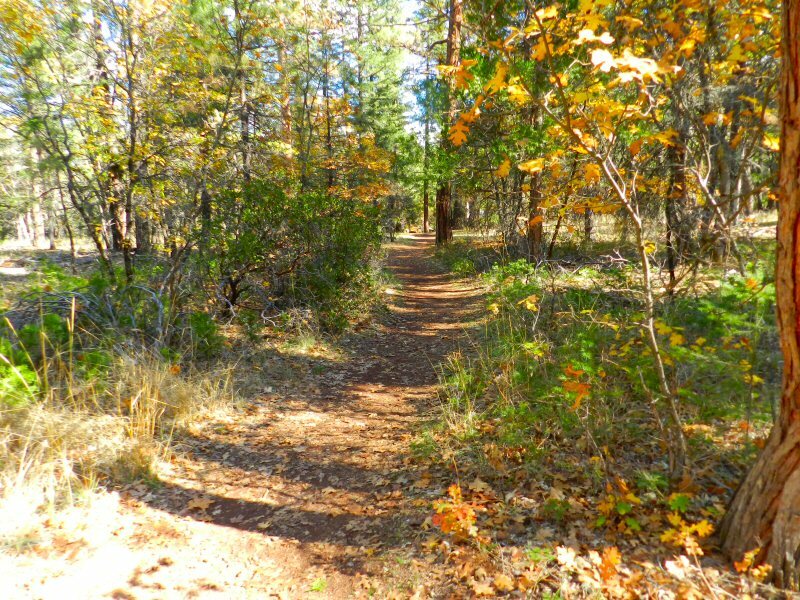 This trail leads to a third bridge that crosses to the Pacific Crest Trail and leads back down to the entrance point where I came into the park. Furthermore, adjacent to the Park there is now a new trail, the Great Shasta Rail Trail that goes from the old Burney depot and leads to the “Stand By Me” railroad tressel crossing Lake Britton. 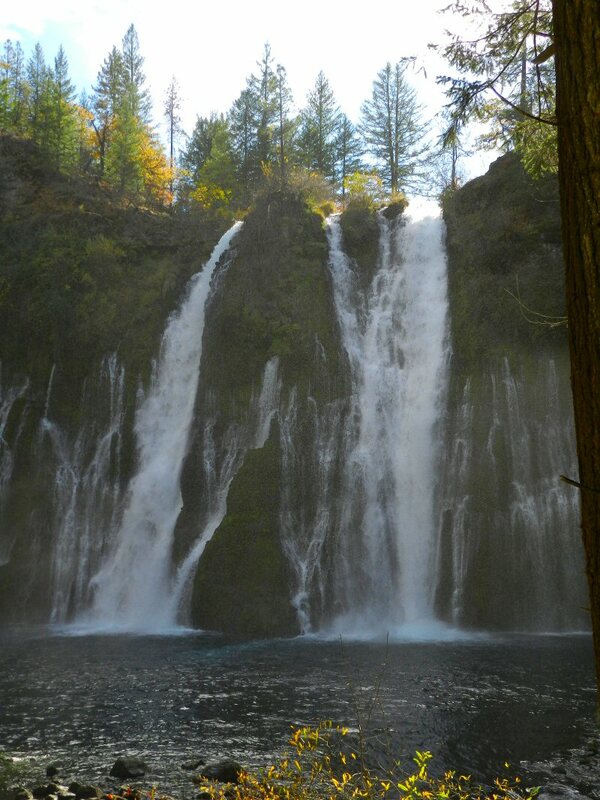 Burney is a great area for hiking. I crossed bridge and sat down on one of the benches to look at the creek and take pictures. 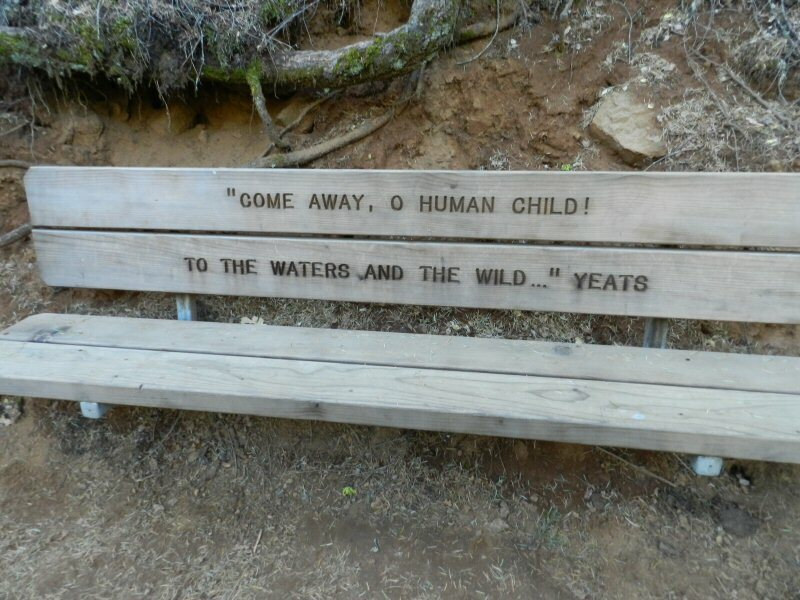 Along the trail there are several of these benches. Each one has a cool philosophical thought or poetic statement. I decided to continue on the loop. This side of the trail does not proceed at creek level. It gradually ascends the bank back to the top of the falls making for a nice walk through the woods with scenic glimpses of the creek below. As one nears the end of the ascent, one gets another view of the falls. As I shot some pictures I was joined by four visitors from San Francsico. As I said before, I enjoy meeting people on the trail. 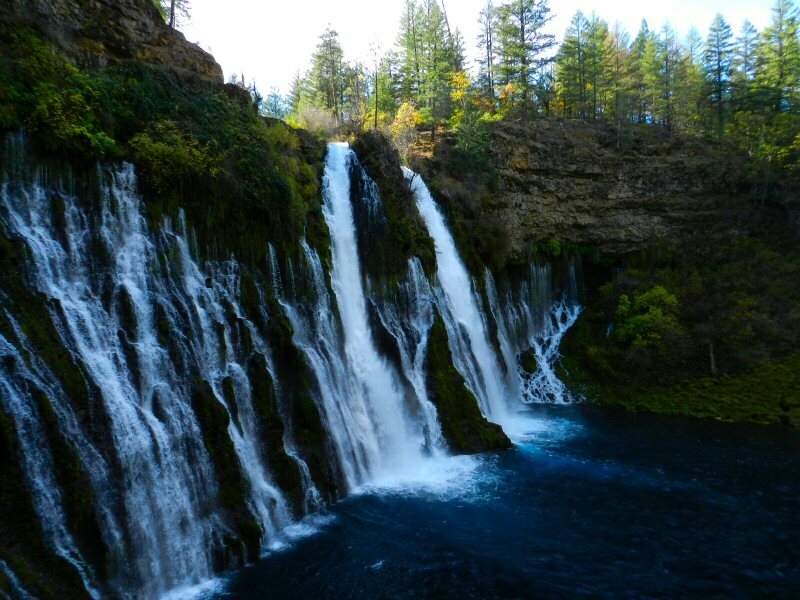 The world comes to Burney Falls. One of the reasons I like it is that it gives me a chance to practice different languages. Because my Mandarin pronunciation is not very good, he looked at me quizzically. Then recognition glimmered in his eyes and he pointed to one of the young ladies accompanying him. “Ni shou zhong wen?” I repeated. The Chinese-American girl looked surprised. “Yes. yi dian,” she said. “Oh, An nyumg ha shim ni ka!” I said. They were all surprised that I spoke a little Korean too. I told them that I didn’t want to be a prisoner of the English language. If we want to navigate our way through the global transformation we are experiencing toward a more peaceful world, we need to understand each other. Only one-tenth of the people in the world speak English. The different cultures in the world are encoded within their languages, so I’m trying to learn them. We chatted for awhile and then departed amidst a cacophony of cheerful good-byes in various languages. A bit further up the trail, I stopped at another of the benches and was greeted by three handsome woman hiking up the trail. One of them spoke with a British accent. Another was from Norway. When they said they were up for the day from Redding, I surmised that they were students from Bethel Church. They were. I told them that a friend of mine and his wife had recently attended a healing service there. I’ve never attended Bethel, but I love meeting their members on my various strolls through the woods. I often do because they like to come up to Lassen, Burney falls and other scenic places to explore the area. They are always cheerful and they like to pray. So, uplifted by the beautiful environment I often pray with them. In this case, the ladies were wondering what other places they could visit. I told them how to get to Baum Lake, advising them that there are often American White Pelicans there. They went on up the trail. Shortly afterward though, as I was leaning over the rail taking pictures of the upper stream, I saw them returning with another man. Turns out the Norwegian woman had been inspired with the thought that, since I had mentioned the healing meeting, perhaps I had some ailment I would like them to pray for. So they all prayed for my knee, holding their hands over it and sending our God’s love. Then one lady who was a bit more serious prayed that all lies would be removed from my mind and replaced with truth. She had me repeat the words after her. I have no objection to lies being replaced with truth so I gratefully complied. I told the Norwegian woman that my grandmother, Justina Wiborg Berry, had been born in Oslo. When she heard that my grandmother was a Wiborg she said she had read ia book written by Julie Wiborg in Norway and wondered if I was related. The answer to that was “I don’t know.” I’ve lost the connection. My grandmother had a big book tracing all of our ancestors back to the 15th century when they had come from a town named Wiborg in Finland as merchants, but I had been unable to find the book. I also told them that my great grandfather had been a member of the king’s guard and that my grandmother had been Prince Olaf’s dancing partner for a season when she was a debutante. So one of the ladies felt inspired to pray that I find my grandmother’s book. I hope I do. The reason that I have gone on at such lengths about these encounters is to illustrate that going out for a hike is not only a healthy, uplifting natural experience, but a social, cultural and spiritual event as well. Several times, I have had people contact me months after I met them because of a conversation that occurred. After the group from Bethel left, it did seem that the colors were a bit brighter. 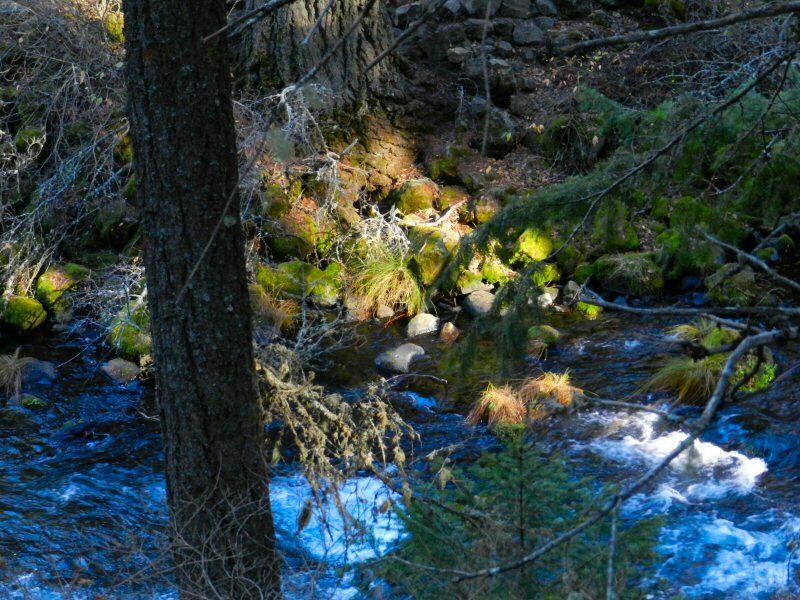 I got some nice pictures of the light coming through the trees and of Burney Creek above the falls. Finally, I headed back up the hill to my car, happy that I had taken my Halloween hike. 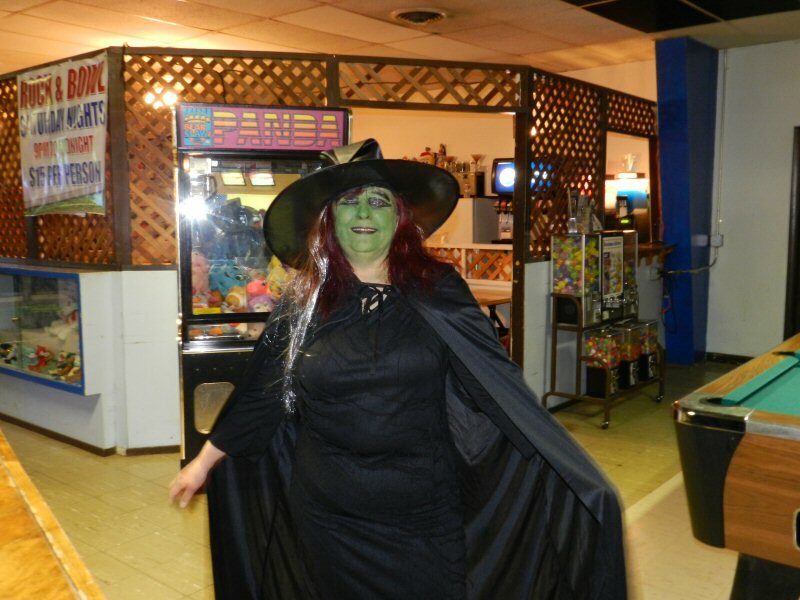 On the evening of October 31, as the last tiny princesses, action heroes and goblins canvassed the streets in search of sweets, 16 costumed contestants gathered at the Burney Bowl for a 40-frame Halloween Tournament. 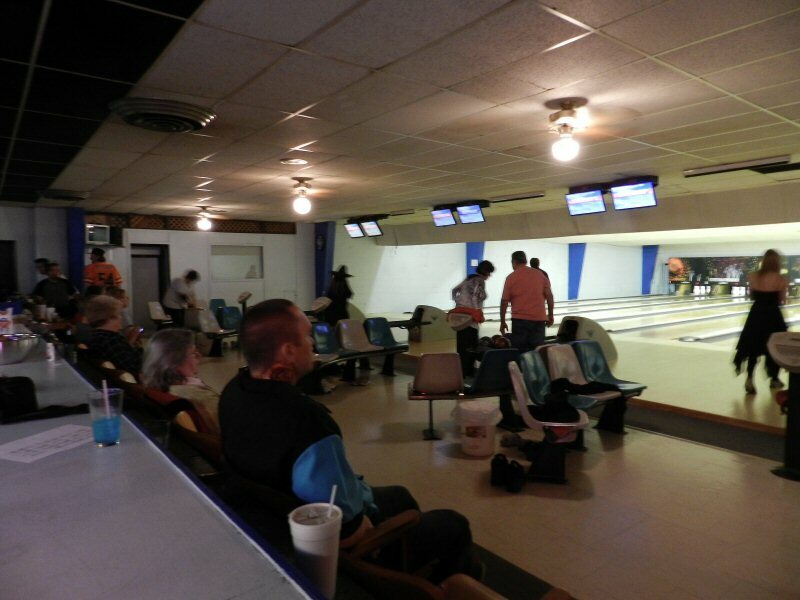 The tournament was hosted by bowling alley owner Colleen Perry. Spirits were high as eight two-person teams competed. 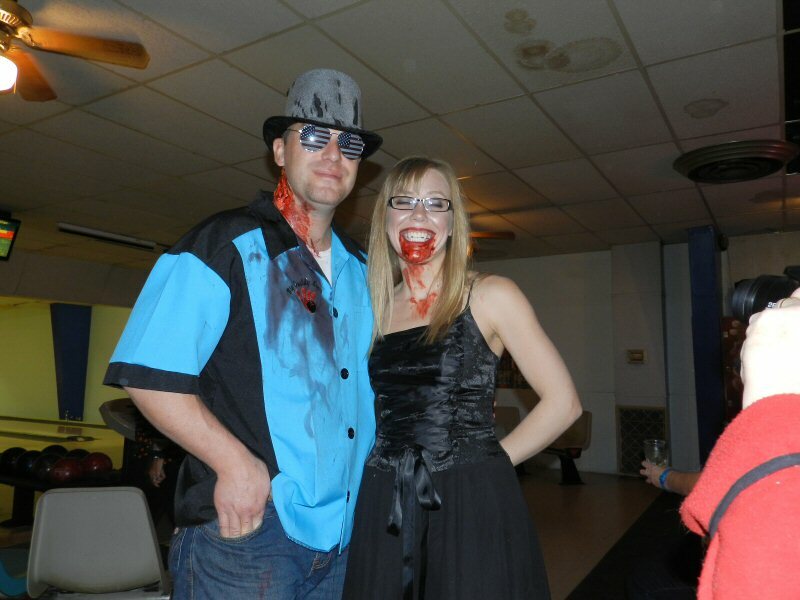 One vampire bowler, Clarissa McDonald, bowled with her victim Robert Evans whom she had bitten in the neck. Teams paid a $45 entry fee to enter. Most of the teams won a Pay Day prize. Barb and Ken Hanan won the tournament and were awarded a cash prize of $150. 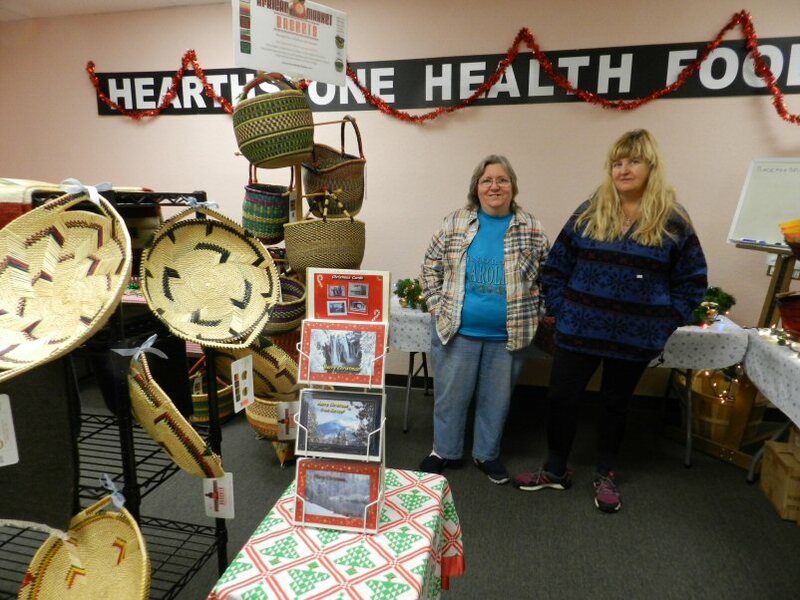 Debby and Trapper Haskell won second prize and Carl and Sharon won third prize. Second and third place winners also received a cash prize. And a lot of fun it was. 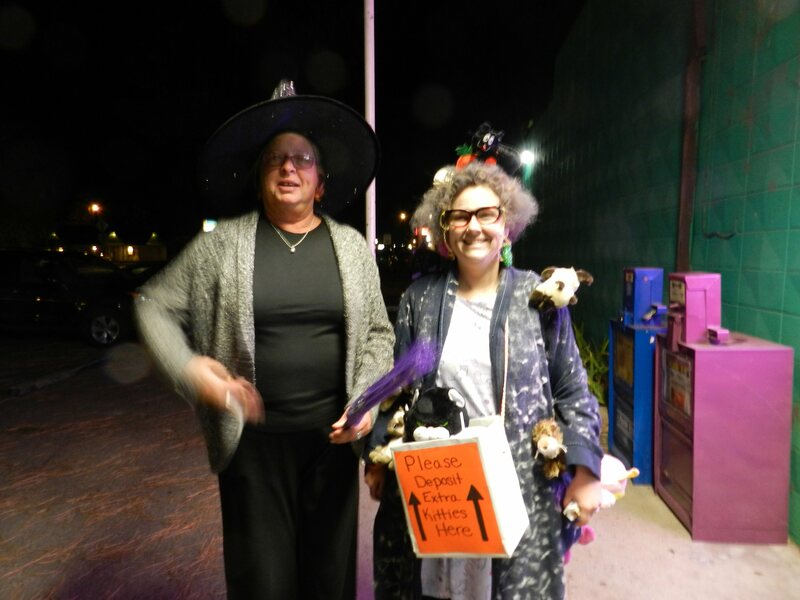 There were bowls filled with plenty of candy to go around and Cat-woman Debby Haskell brought a vanilla and chocolate kitty-litter cake served out of a cat box. All in all the event was a graveyard smash.